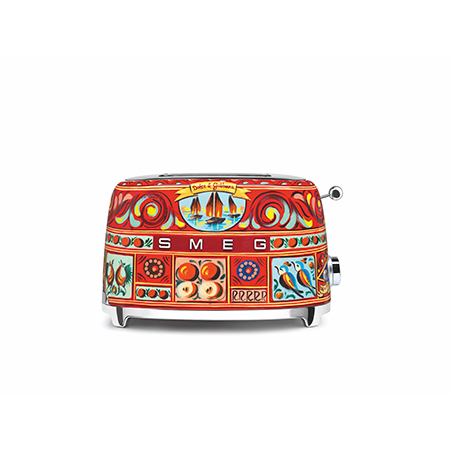 A Smeg classic gets updated with a Dolce & Gabbana touch. This cheerful toaster is sure to kick-start your day on a bright note thanks to its semi silkscreened exterior depicting Sicilian seascapes, fruit, flora and fauna. Beyond its good looks, the toaster comes with pre-set programmes and a removable stainless steel crumb tray for hassle-free breakfast preps.